Welcome to the first PAWS Together communication from KSD. This is a new communication we will send monthly. 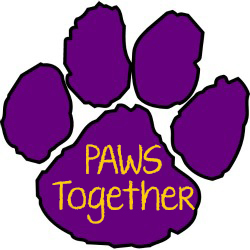 The goal of PAWS Together is to serve as a means to pause for a moment to help our Bulldog community learn more about a variety of topics that may be affecting students in our district, either at school or at home. The topic of the first edition is in conjunction with Suicide Awareness Month. We hope you find this communication informational and helpful. As part of Suicide Awareness Month, it is important to know the facts around suicide prevention, particularly those within Clay County. Each year Tri County Mental Health partners with school districts across Clay County to gather information about depression and suicide. Kearney School District’s results from the 2017 school year indicated the need for additional support to a population of students struggling with depression and suicidal thoughts. It is important now more than ever to bring this topic to the attention of parents and community members, to work together to meet the needs of our youth. Behavioral Health including depressive disorders, substance abuse, etc. Personal characteristics such as hopelessness, social isolation, etc. Family characteristics including: family history of suicide, parental divorce, family history of mental health disorders, etc. Environmental triggers such as: access to weapons, limited access to mental health care, etc. The district has established a three tiered model to address suicide awareness. The first tier includes a referral to a school counselor or the district social worker, if concerns are present. In addition, the district has adopted the Signs of Suicide program through Tri County Mental Health, which involves screening all 8-12th grade students for depression and possible suicidal ideation. Students are provided instruction on how to Act, Care, and Tell if they are aware of someone else who may be suicidal, as part of the program. In addition, both teachers and parents are provided training about depression and suicide prevention. In the next tier, if concerns are present, the school counselor or district social worker will conduct a comprehensive risk assessment. Our school counselors have been trained extensively through their graduate programs and additional trainings on how to complete risk assessments. Based on the results of the assessment and their overall impression of the situation, the counselor will determine if additional information is needed. If that is the case, the counselor will contact Tri County Mental Health for a phone interview. The intake counselor from Tri County will determine if the situation warrants additional action. If you are concerned about yourself or someone else, there are resources available. Please see below for a list within the Kansas City metro area. Gould, M.S., Marrocco, F.A., Kleinman, M., Thomas, J.G., Mostkoff, K., Cote, J., Davies, M. (2007). Evaluating Iatrogenic risk of youth suicide screening programs. American Medical Association, 293(13),1635-43. National Association of School Psychologists. Preventing Youth Suicide: Tips for PArents and Educators. Accessed: September 13, 2017 from https://www.nasponline.org/resources-and-publications/resources/school-safety-and-crisis/preventing-youth-suicide/preventing-youth-suicide-tips-for-parents-and-educators . Screening for Mental Health, Inc. (2017). Training for Parents and Community Members: SOS Signs of Suicide Prevention Program.